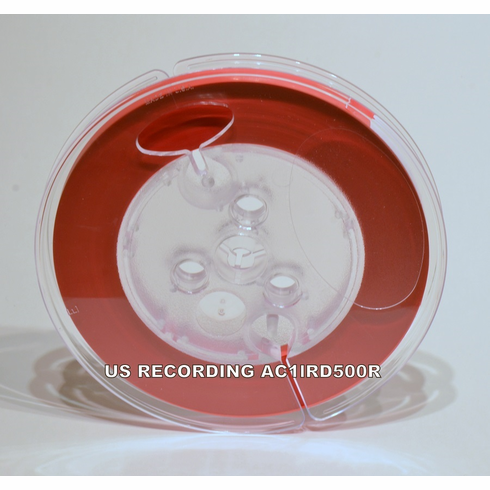 Also available at Amazon This red TME leader tape is red coated mylar with a shiny side and a matte side. Use the leader with the shiny side against the heads. Each roll comes on a 5" low torque broadcast reel. 1/4" x 500 FT. The recognized North American color standard for recordings and leader orientation is RED leader tape goes on the head end of the roll and BLUE leader tape goes on the tail end of the roll of tape as a quick indicator if the tape is tails out or not. Made in Australia.